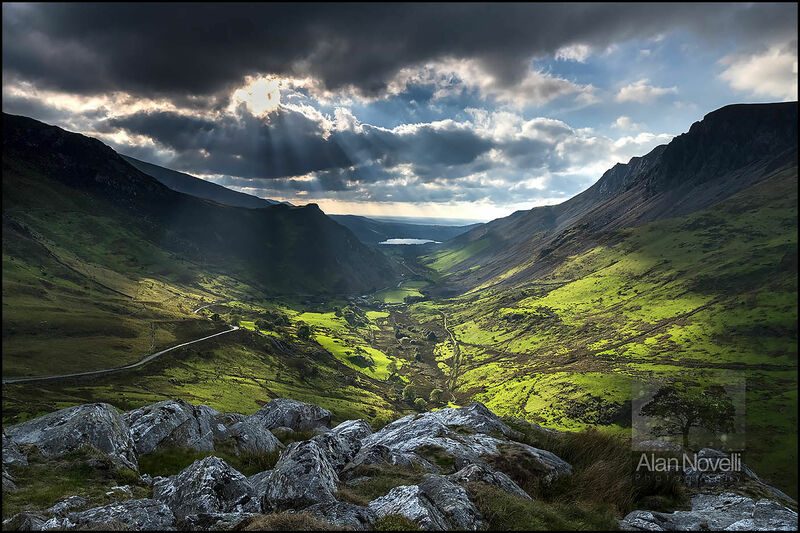 A wonderful evenings photography high on Clogwyn y garreg overlooking the Drws y Coed valley and Llyn Nantlle Uchaf yielded this dramatic image. To get here is a bit of a scramble and requires a sure foot indeed, but once on top the view over the valley is captivating. Shafts of light had been playing up the valley all evening and it was just a matter of timing until all the elements came together.